Thank you for voting us Macon Telegraph's "Best Dermatologist" for 2016/2017! When caught early, many forms of skin cancer can be successfully treated. Eliminate stubborn body fat with our CoolSculpting services! Our RejuvaPen treatments can smooth wrinkles, soften acne scars, and lighten blemishes! Erase the Years with Botox and Filler injections. Welcome to Allen Dermatology and Skin Center! Welcome to Allen Dermatology and Skin Cancer Center, a leading dermatology practice in Macon, Georgia. Our team of highly skilled and experienced professionals in medical and cosmetic dermatology maintain a high standard of care. The team regularly attends seminars and conferences devoted to advancements in dermatology to provide our patients with the most current treatments. 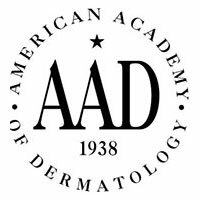 Dr. Jennifer Allen and Dr. Virginia Hall are both board certified by the American Board of Dermatology. With years of experience in the field, they are committed to patient education and will take the necessary time to ensure that patients understand treatment details and the expected results. Drs. Allen and Hall and the team understand the importance of good skin care and are committed to providing you with high-quality care in a pleasant and professional atmosphere. Common Skin Conditions such as acne, rosacea, warts, eczema, diseases of the hair and nails, and more. Whether we’re addressing wrinkles and spider veins, or skin cancer concerns, our top priority is to ensure that your experience with our practice is second to none. We strive to serve our patients with excellence. We help patients achieve and maintain healthy, beautiful skin. Our goal is to offer the highest level of dermatologic care to our patients, because your skin deserves the best. We work to establish happiness, self-esteem, comfort, and healthy skin for our patients. 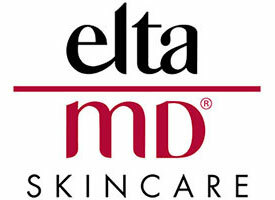 If you have any questions about your skin or want to schedule an appointment give us a call at (478) 477-6700. We look forward to hearing from you! Get baby smooth skin at any age.